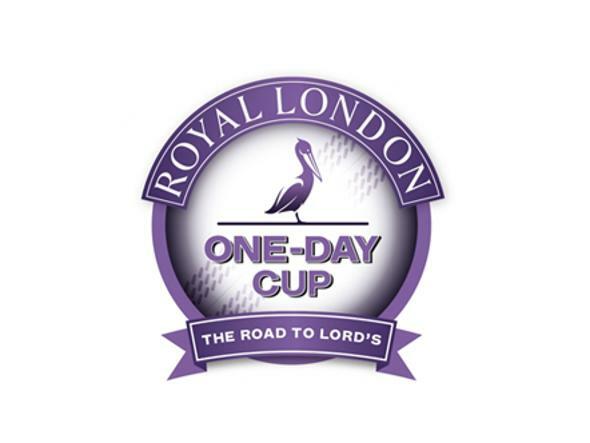 England’s preparation for the Champions Trophy took a knock as a catastrophic batting collapse that saw them reduced to 20/6 helped South Africa claim a comfortable seven-wicket win at Lord’s. Batting under overcast skies after being inserted, England's top order crumbled and only resistance from Jonny Bairstow, who hit 51, and debutant Toby Roland-Jones, who finished 37 not out, helped them clamber up to 153 all out. The visitors made light work of their chase, Hashim Amla hitting 55 and becoming the fastest man to 7,000 ODI runs in the process, as JP Duminy hit the winning runs in the 29th over of their reply. That's the end of the match. South Africa have won by seven wickets. 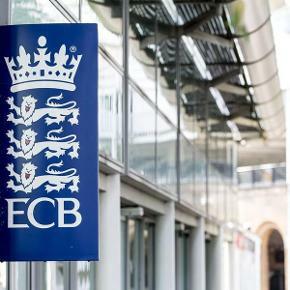 Within half an hour of the start, Lord’s was almost completely silenced, most of the patrons aghast at England’s calamitous start. Under a thick blanket of cloud, Jason Roy was the first to go, edging Kagiso Rabada to Hashim Amla at first slip. Joe Root followed, Wayne Parnell swinging the ball back into him from the Pavilion End and trapping him right in front. Skipper Eoin Morgan came down the track to Parnell and whacked him over extra cover for four to break the shackles momentarily but he was next to go after edging behind to Quinton de Kock four balls later. 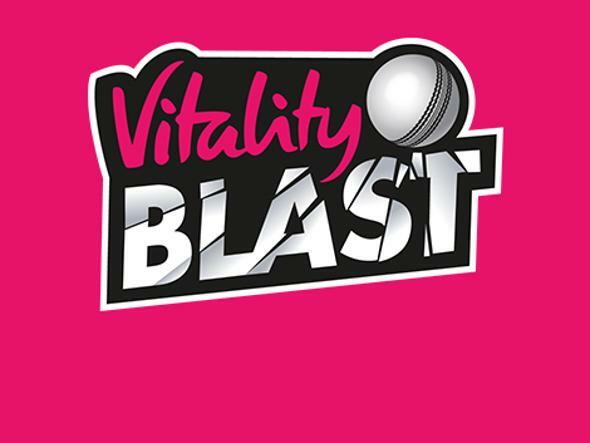 Up to that point, Alex Hales had faced just one ball as the carnage unfolded at the other end but a loose drive shot offered up another catch for Amla, who made no mistake after a wobbly fielding display in Southampton. England were 15/4 and teetering, but it would get worse. It was 20/5 and officially a crisis as Jos Buttler followed up a boundary off Rabada with a drive that allowed Faf du Plessis to bag an excellent catch at second slip. After a long wait while the visitors sent for short leg paraphernalia, Adil Rashid nicked his first ball to the same man and at 20/6 England needed a miracle to complete a series whitewash. A big cheer rippled round the ground when Jonny Bairstow stoutly defended the next ball and he and David Willey set about trying to resurrect England’s innings, the former beautifully driving Rabada through the covers, the latter lucky to edge one to the fence through fourth slip. Bairstow cut sharply off Morne Morkel and Keshav Maharaj as they came into the attack, and the Yorkshire duo had put on 62 before Willey drove uppishly off the returning Parnell and Du Plessis took a simple catch. 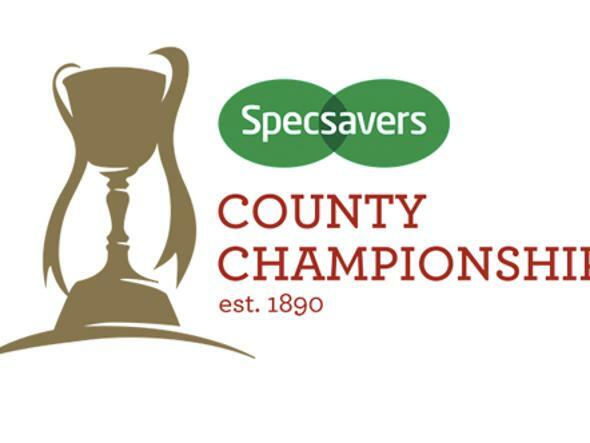 Toby Roland-Jones showed no fear on his debut, hooking Chris Morris into the Grandstand for six and then driving Parnell beautifully through the covers a few balls before a sweep to the fence took Bairstow to his half century, off 63 balls. But he fell trying to force the pace, stumped by de Kock off Maharaj for 51. Jake Ball was bowled by the spinner, before Steven Finn chipped one up to De Villiers in the 32nd over. England were all out for 153, Roland-Jones unbeaten on 37. In reply South Africa were brisk, punishing David Willey especially as he strayed in line. Amla brought up his 7,000th run in ODI cricket with a pull off Finn, becoming the quickest to that landmark. He was also fastest to two, three, four, five and six thousand. By the time lunch was taken, South Africa were 59/0. After it, two boundaries down to fine leg off Ball saw Amla go past 50 for the 33rd time in ODIs but he would fall for 55, edging a short ball from Roland-Jones onto his stumps to hand the Middlesex man an impressive first international scalp. De Kock followed the next over, Ball squeezing a yorker through his defences. When Du Plessis nicked Ball behind for just five, England momentarily had designs on interrupting South Africa’s procession toward the finish line. But that feeling was short lived. De Villiers took a while to get into his stride but then came down the track to drill Finn straight for four before lap sweeping Willey for another boundary. It fell to Duminy to strike the winning runs as South Africa grabbed a consolation win to take some momentum into the Champions Trophy. 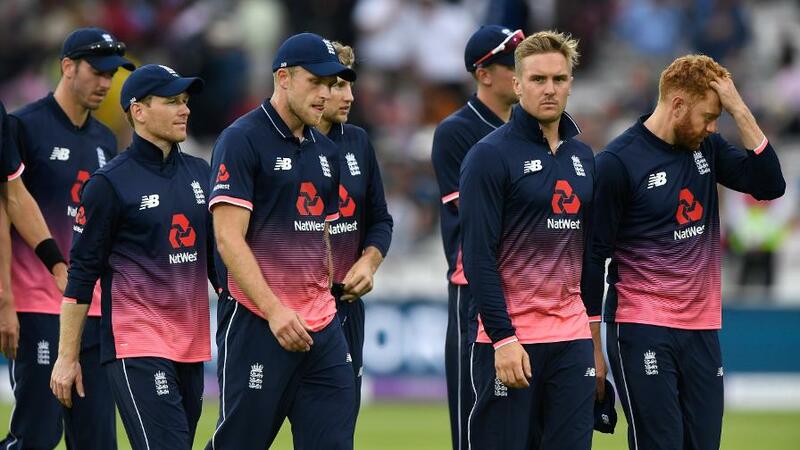 England begin their campaign against Bangladesh on Thursday at the Kia Oval, while South Africa take on Sri Lanka at the same venue on Saturday.